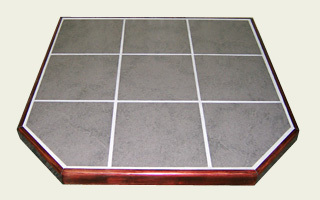 Beautify and protect your home with a quality hearth pad from Maine Hearth Pads Company. 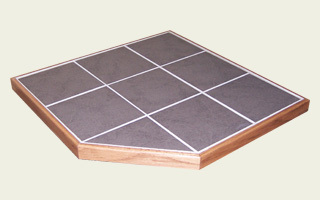 Our distinctive pads are Maine crafted from a variety of fine tiles, expertly finished for maximum durability. Choose from a wide range of tile and textures that complement any décor. 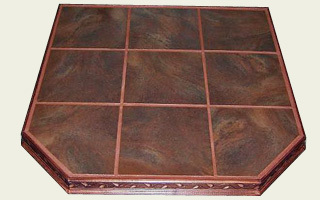 Unlike other manufacturers, Maine Hearth Pads allows the option for a “custom made” hearth pad at affordable prices. 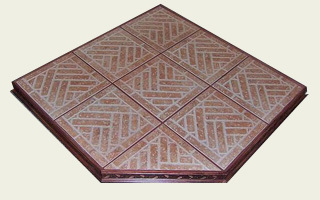 The customer can have their pad designed by using tile from our select stock or they can provide their own tile based on our specifications to insure a match to their desired décor. 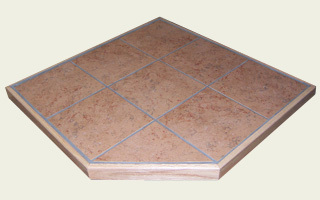 Maine Hearth Pads manufactures pads in many designs and sizes to meet your room design and stove clearance specifications. 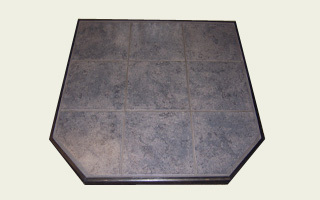 Let us build that perfect hearth pad for you today. We support Maine Businesses and buy our supplies locally. Copyright © 2019 Maine Hearth Pads Company. • Design & hosting by PHD Consulting, a Maine company.